DejoGames.com may collect and store your usage history of our service(s) including but not limited to, information that is supplied by your web browser such as Internet domain and host names, browser software and operating system types, click stream patterns, Internet protocol (IP) addresses, and dates and times our services are accessed. Some information may be collected and stored by DejoGames.com in a personally identifiable manner, that is, it is tied to your user account, while other information is not tied to any specific user. In some cases, we may use third party tools to log our services usage statistics, in which case some of this information may be accessible to those third parties. At the point when an end-user wishes to make a payment, his registration details may be passed to Paymentwall that provides payment processing services, in order for Paymentwall to better protect service and end-users from unauthorized payments. In all cases of data access and collection, the information we collected will not be disclosed, rented, leased, loaned, sold, or otherwise voluntarily distributed to unaffiliated third parties. The information collected is to ensure a smooth and enjoyable use of DejoGames.com, and to improve the overall service usability and performance. The information is also used to enable many aspects of services related to DejoGames.com including, but not limited to, providing access and game play, issuing bonuses and points awards, enabling user communications within the game, preventing illegal or fraudulent activity, sending notifications to users, assisting users and resolving disputes, ensuring the user is aware of any information we feel is necessary, and gathering statistical information. We may also use your name, email address and other information on our records to communicate with you from time to time. This will include emails notifying you of new product releases, service notifications, special offers and promotional offers, and to solicit your feedback and input. You will be able to unsubscribe from receiving such notifications via email. DejoGames.com may disclose some or all information about you to its partners and/or third parties in order to provide certain services. These services will include, but not limited to, email delivery, data processing, payment processing, hosting services, technical support, marketing services, and customer service. However, we do not give our partners and third parties an independent right to share this information and direct all such partners and third parties to maintain the confidentiality of the information disclosed to them and not to use such information for any purpose other than to provide services for and on behalf of DejoGames.com. You understand and agree that we may access, retain, and disclose any or all information we may have about you if required to do so by law or in a good faith belief that such access, retention or disclosure is necessary to avoid liability, to comply with legal procedures, such as a statute, subpoena, search warrant, court order, or to protect our affiliates or the public, or that of our rights and property. DejoGames.com will not contest or question the validity of any subpoena, search warrant, or any other similar governmental request that DejoGames.com receives. In the event that DejoGames.com is acquired by or merged with a third party, we reserve the right to assign or transfer the information we have collected from our users as part of such acquisition, merger, sale, or other change of control. In the unlikely event of our bankruptcy, insolvency, receivership, assignment or reorganization for the benefit of creditors, or the application of laws or equitable principles affecting creditors’ rights, we may not be able to control how your personal information is used, treated, or transferred. 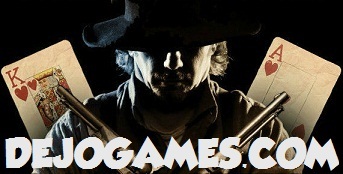 Services provided by DejoGames.com are not directed to minors under the age of 13, as they are prohibited from registering an account with Facebook. DejoGames.com does not knowingly collect personal information from minors under the age of 13. In the event that DejoGames.com inadvertently gathered personal information from minors under the age of 13, we will take reasonable steps to promptly remove such information from our records. If a parent or guardian becomes aware that his or her child has provided us with personal information without their consent, he or she should contact us at [email protected] to have such information promptly removed from our records. DejoGames.com takes security of your information very seriously. Measures to prevent security breaches are put in place both online and offline. While DejoGames.com is very concerned with safeguarding our user’s database and records, we cannot guarantee that unauthorised access, hacking, data loss and/or other breaches will never occur as no safeguards are completely secure. Do not provide your personal information if you are concerned with this disclosure. Please note that Email and Instant Messaging are not recognised as secured communications. Therefore, we discourage your from sending personal information to us via Email and/or Instant Messaging services. Click on the button above to speak with us LIVE! "Whole process took less than 10 minutes. Got a nice bonus too. Will recommend this site to all my friends." "Got 5M bonus chips on 100M order...really appreciate the service. thank you (:"
"Very nice bonus chips. Julie is very good. I like service." "Fast and good service. Will definitely buy again!" "Another easy and smooth transaction . Thanks again guys!" This is not a gambling website. You must acknowledge that the playing chips we provide here are just “playing points” on the Texas Hold’Em poker application on Facebook and/or appropriate mobile devices. These playing chips provide only entertainment value and are not refundable, exchangeable, replaceable, redeemable or transferable for any real-world funds or prizes under any circumstances. We take fraud very seriously. Every fraudulent payments and attempts are logged and will be reported to the IC3 Internet Fraud Division of the FBI, along with any other personal information we have collected. We are not associated or affiliated with any of the websites / brands mentioned on this website. Purchase of goods and services from this website may infringe a third party's rights and raises probability of your playing account suspended, including total or partial loss of your account contents. While we spare no efforts in taking extra precaution during delivery of your order to avoid possible suspension of your playing account, we will not be held responsible for any loss of your order AFTER it has been delivered to you. Please do not make any purchases from this website if you do not agree with the above. Copyright © 2008 - 2015. www.DejoGames.com - Buy Facebook Poker Chips. Refund Policy. Privacy & Security Policy. All Rights Reserved.